PHUKET: Phuket residents are once again being advised to be on alert as the haze from the Sumatra fires has started to return. 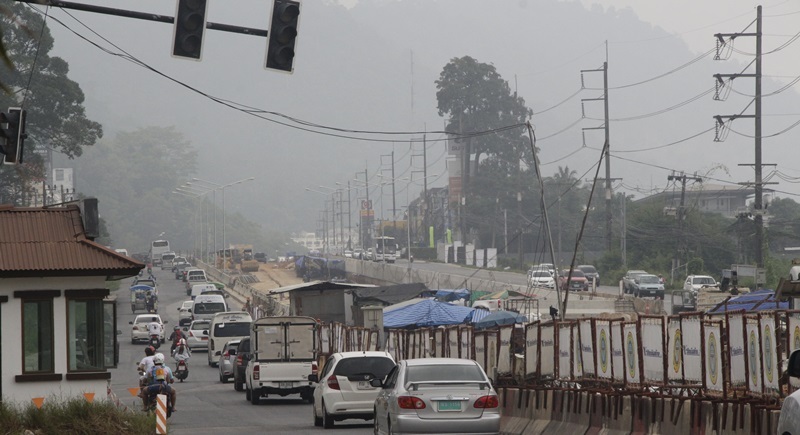 Although the haze is currently not at a critical level in Phuket, AQI PM10 levels taken this morning (Oct 21) in Hat Yai and Yala are 185 and 137 respectively according to the 16th Regional Environmental Office. Speaking to The Phuket News today, Dr Pornsri Suthanaruk, Director of Phuket Regional Environmental Office 15 explained, “The AQI PM10 reading I received at 6am today is at a medium level.